Optimism in financial services rose strongly in the three months to March and profitability improved in most sectors, according to the latest CBI/PwC Financial Services Survey. Despite overall business volumes across the sectors continuing to increase, the pace of growth was the slowest in a year. Volumes were flat in banking and building societies, with the latter stabilising following a sharp fall last quarter. Income from commissions, fees & premiums and from net interest, investment and trading both rose solidly this quarter, offsetting the increase in costs to deliver another robust rise in profits. However, overall employment in financial services fell for a second quarter, particularly reflecting ongoing changes in the banking sector. In contrast, employment in other sectors either rose or was broadly stable. Financial services firms expect to reduce investment in land & buildings, vehicles, plant & machinery, and marketing over the next twelve months. However, firms in most sectors continue to plan strong increases in IT spending. The main drivers of capital expenditure authorisations over the year ahead are the need to increase efficiency/speed and to provide new services. Companies reported that they would be focusing their growth strategies on retaining and cross-selling to existing customers, more than acquiring new ones. 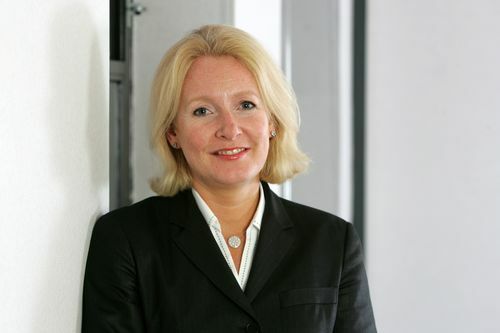 Stephanie Bruce, financial services leader at PwC in Scotland(pictured), said: “The banking sector both in Scotland and across the UK is reporting growing confidence, higher levels of revenues and increasing profitability. This is balanced by lower growth in business volumes. Banks are more positive about credit risk, as the value of non-performing loans and interest rates are expected to remain low in the coming quarter given the economic considerations. “Looking at the UK’s regulatory environment, companies are most concerned about cost and proportionality. Even so, the sector currently has a good grip on its regulatory agenda, and regulation is seen as less of an obstacle to growth than at any point last year. Overall spending priorities for the next year are focused on improving IT infrastructure, part of which cyber security. Rain Newton-Smith, CBI Director of Economics, said: “This quarter was a mixed picture for the financial services sector. Firms remained upbeat as profits held up, despite weak growth in business volumes in some sectors, especially banking. “The overall headcount in financial services fell for a second consecutive quarter, driven by banks cutting staff as they make their business operations leaner, refocusing activities as a result of new capital rules and regulatory requirements. “Despite continuing strong growth in optimism, this survey was conducted before the Budget, so it’s possible that yet another change to the bank levy may have dented the upbeat outlook in the sector. · Next quarter 37 per cent of firms expect business volumes to increase, while 3 per cent expect them to decrease, giving a balance of +34 per cent.